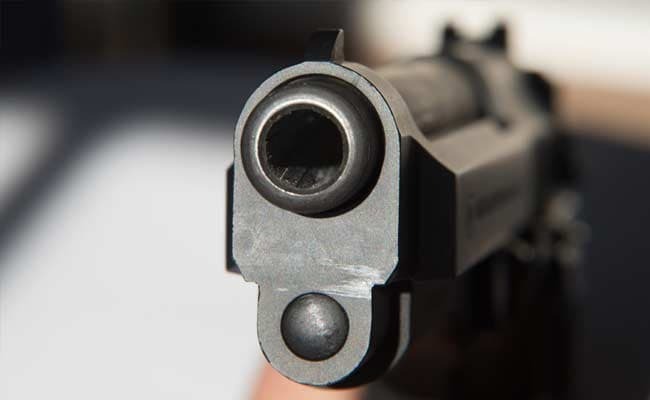 A 33-year-old businessman was allegedly shot dead by two unidentified persons in the neighbouring Navi Mumbai township, a police official said today. The motorcycle-borne assailants fired at Shantaram Khatal, who owned a battery business, with a gun when he along with a relative was at the gate of his housing society in Kamothe area around 9.30 pm yesterday, he said. The assailants also attacked Khatal with some sharpedged weapons, the official at the Kamothe police station said, adding that his relative escaped unhurt. The victim was rushed to a nearby hospital where doctors declared him dead before admission, he said. Based on a complaint filed by Khatal's relative, the Kamothe police registered an offence under IPC section pertaining to murder, he said. The exact reason behind the killing was yet to ascertained, the official said. A search was on for the assailants, he added.